The inflatable neck roll can be inflated to desired level – not fully to get the floating sensation, and placed inside your own pillowcase below the pillow and you have an easy neck support pillow with a custom level of support. Inflatable to 21″ x 4″. Easy to clean and adjust. A must have for on the road. A full length inflatable neck roll pillow you control by inflating to you personal level of comfort. 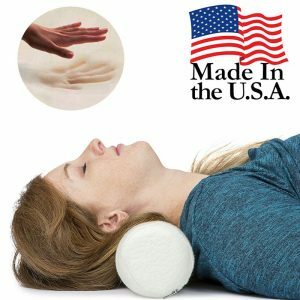 Use as a neck roll to ease and relax tight neck muscles with a feeling that you are floating on air. Conforms to you contours and is light and cooling. 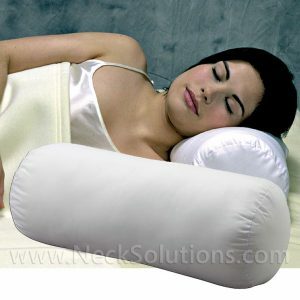 Use alone for therapy or you can even place it in your pillowcase to provide an instant cervical pillow. The inflatable roll pillow also can be inflated to desired level – not fully to get the floating sensation, and placed inside your own pillowcase below the pillow and you have an easy neck support pillow with a custom level of support.. 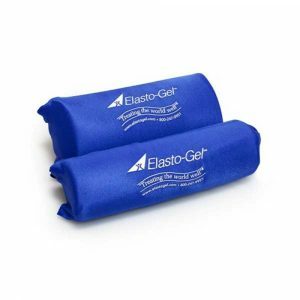 Provides a gentle support or firmer support depending on how much it is inflated. Just unfold the pillow and gently inflate to desired filling. Fasten the valve which traps the air and then push the valve system into the pillow so it does not stick out. Use alone or inside your pillow for a relaxing therapy for your neck. Can help ease stiff neck muscles and restore a natural curve in the cervical spine to take pressure from sensitive nerves and provide a more normal muscle tone. 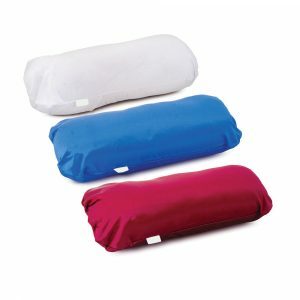 Deflate the pillow all the way and it is very compact for storing or to take as a travel pillow. 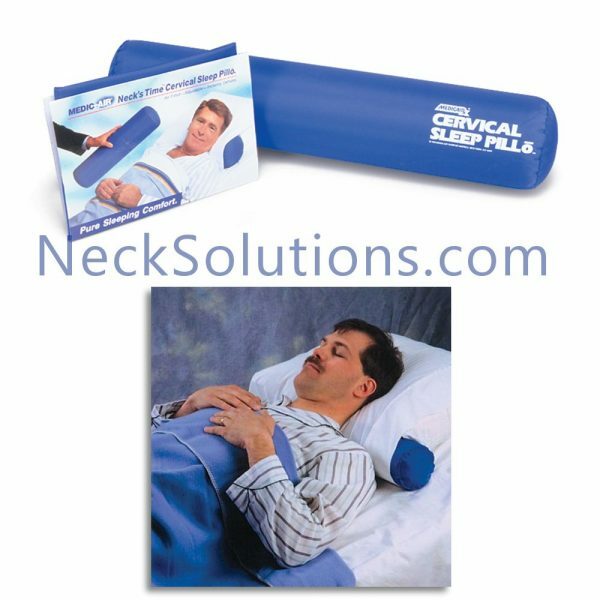 The inflatable neck roll pillow is durable as it is made from medical quality vinyl, which means it is easily cleaned and disinfected with soap or spray. 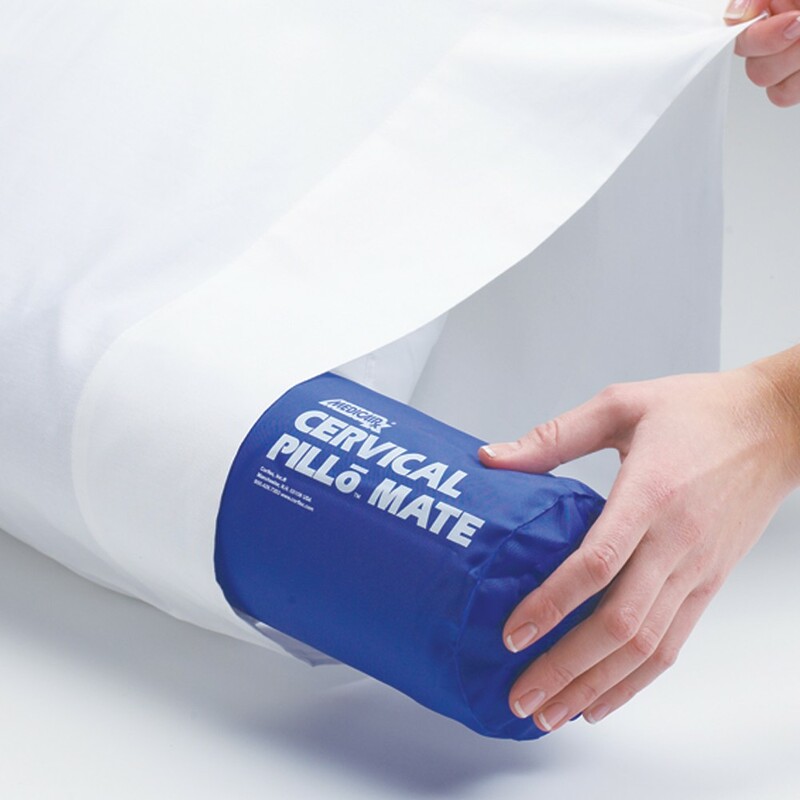 The vinyl cover not only cleans well, but makes it easy to slide in your existing pillow case to have a cervical pillow anywhere you go. 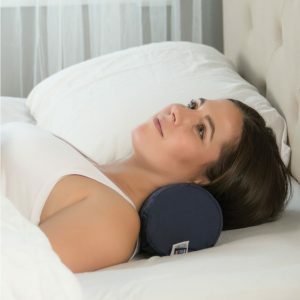 Make sure you don’t lose the gains you have made through your neck relief efforts by sleeping on a poor pillow when you travel. The inflatable design makes it super easy to travel with and use for neck support. The custom level of support is achieved by a personal level of inflation to your preference or to accommodate different pillows. This is something unique in a neck roll. Many are made of cheap foam and you need to make sure it is a quality one or it will lose support quickly. Having an inflatable neck roll that is adjustable, durable, versatile, and easy to use is a real benefit to those who need extra support at home or on the road.